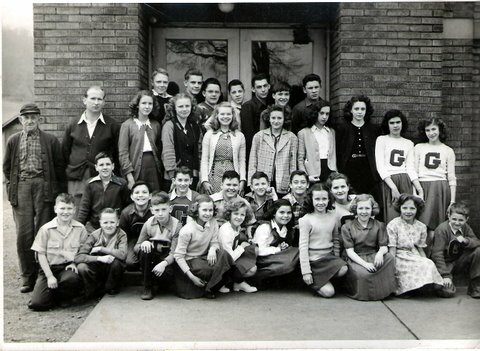 Front row, l to r, Gary Gibson, Tom Carlisle, John Wallace, Phyllis Reynolds, Marge Carlisle, Anna Davis, Loretta Endsley, Virginia Gribble, Lois Oppy and Warner Maurer. 2nd row, l to r, Eddie Krocker, Junior Davis, Ronnie Harmon, Ronnie Gibson, Eddie Warner, Bill Anderson and Nellie Davis. 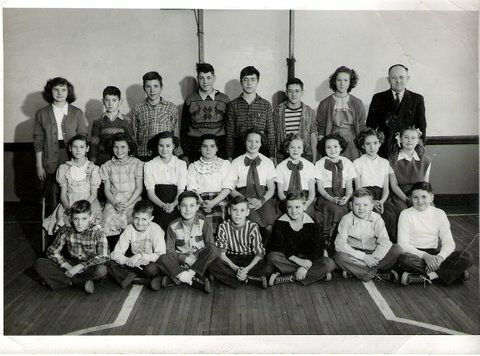 3rd row, l to r, Stogie Rausch, janitor, Donald Freeman, teacher, Lou Ann Briggs, Marge Oppy, Shirley Murphy, Augusta Endsley, Bonnie Wallace, Shirley Maurer, Connie Gibson and Joan Garrett. 4th row, l to r, Eugene Wolfe, Jack Davis, Frank Swaldo, Frank Davis, Calvin Brown, Earl Walton and Bob Schaar. JOHN C. “JACK” HOBART, age 70, of New Philadelphia, died unexpectedly on February 10, 2012. He was the son of the late Glenn and Geneva (Briggs) Hobart. Jack was born on January 9, 1942, and grew up in Goshen in the area formerly known as Beidler. He is survived by his wife of almost 50 years Trudy Breitmeier, whom he married on August 25, 1962. They have four children, Theresa (Don) Cooper, Diane (Tim) Sugalski, Christie (John) Peoples and John “Jack” Hobart II. He also had a twin brother, Jim (Sierra) Hobart and sister Bonnie (Lonnie) Wolfe. Jack retired following a career with the New Philadelphia Fire Department. The complete obit appeared in the T-R on February 11, 2012. 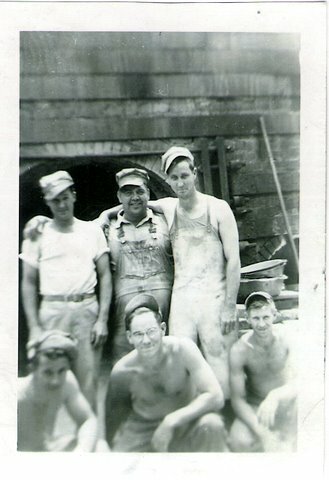 This was taken while several employees of the Univeral Sewer Pipe Corporation Plant #2 were posing in front of a kiln.